IT WAS DIFFICULT TO SEE THE APARTMENT NUMBERS AT NIGHT WHEN WE ARRIVED. Where to find Calliope hotels near an airport? 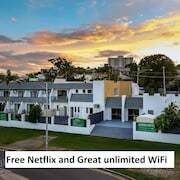 Where can I find hotels in Calliope that are near tourist attractions? 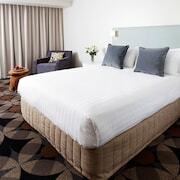 Travelers to Calliope are advised to think about booking a place to rest their head well in advance of their trip, as there isn't an extensive selection of hotels and apartments in close proximity to the city heart. 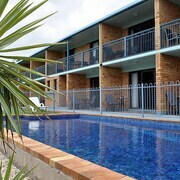 The nearest of our hotels is the Quest Gladstone, Queensland, which is 20 kilometres (14 miles) from downtown Calliope. 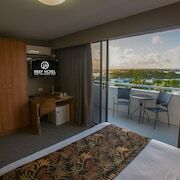 Another handy alternative is the Metro Hotel and Apartments Gladstone, in Queensland, 20 kilometres (14 miles) from the middle of Calliope. You could investigate the Rydges Gladstone and also the Mercure Gladstone. 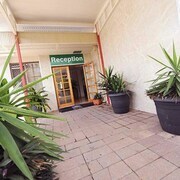 The Rydges Gladstone is 20 kilometres (14 miles) from downtown Calliope. 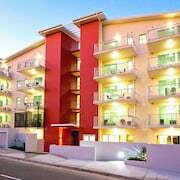 The Mercure Gladstone, is located 20 kilometres (13 miles) away. You could also investigate the Harbour Sails Motor Inn or the Harbour City Motel. Time permitting, you might like to visit other parts of Capricorn Coast. Capricorn Coast offers beaches. Popular Capricorn Coast tourist destinations include history museums. In this part of Australia tourists might also enjoy cycling. If you like sports and love watching games you might like to head to Nissan Navara Arena, which is 100 kilometres (62 miles) to the northwest of Calliope. Those sports fans wanting to find accommodation close to the stadium can make a choice from the The Edge Apartment Hotel or the Denison Boutique Hotel, an Ascend Hotel Collection Member. Gladstone Airport is a logical airport, and is 18 kilometres (11 miles) away from Calliope. 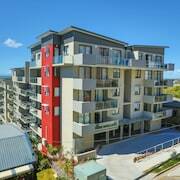 Nearby hotels include Apartments G60 Gladstone Managed By Metro Hotels and Gladstone Village Motel. What are the most popular Calliope hotels? Are there hotels in other cities near Calliope? What other types of accommodations are available in Calliope? Explore Calliope with Expedia.ca’s Travel Guides to find the best flights, cars, holiday packages and more!